Check Point is not a new firewall, but it’s new at least to me. I used to maintain it last time but never had a chance to configure it from a scratch. Today, I’ve had a chance to configure it on my virtual lab. It seems like there is a browser compatibility issue with Check Point firewall. 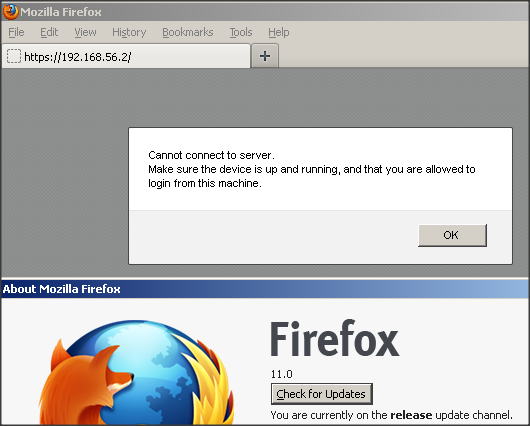 I’ve tested with Internet Explorer 5 and Firefox 11 and found only Internet Explorer 6 can connect to Check Point SecurePlatform (SPLAT). Cannot connect to server. Make sure the device is up and running, and you are allowed to login from this machine. 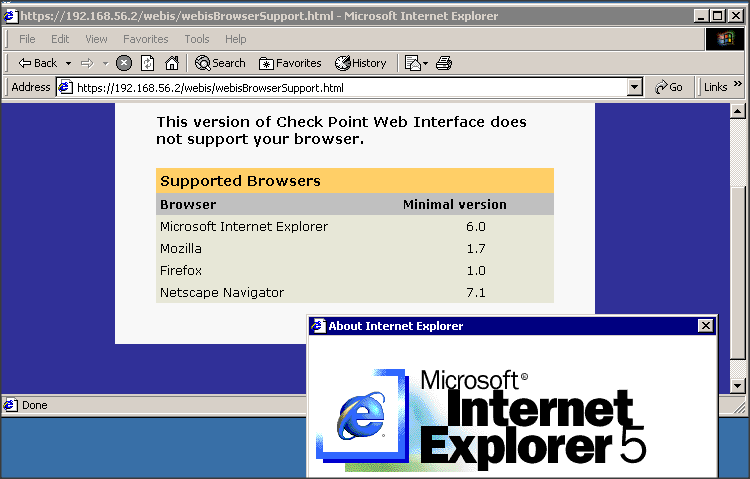 The version of Check Point Web Interface does not support your browser. Finally, I’ve downloaded an old version of Internet Explorer 6 where you can get it from http://www.oldapps.com/internet_explorer.php and it’s working perfectly. Please let me know if you know any other web browser which can work with SPLAT. SPLAT and Mozilla 3.06 not working? Looks like there is a post describes same issue as yours. Poster has found one compatible browser version for firefox.